Relax, knowing you'll be able to effortlessly hire a licensed aerial photography drone pilot. As soon as your job is approved, local licensed pilots interested in working with you are notified. 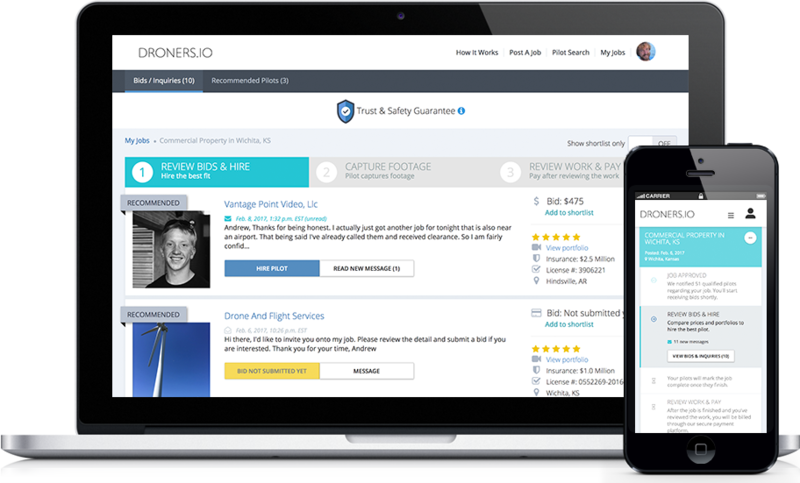 You'll receive bids and will be able to compare reviews, prices and portfolios of each pilot. We're the leading drone pilot marketplace in the world. Within hours, you'll receive bids from several local, professional pilots. 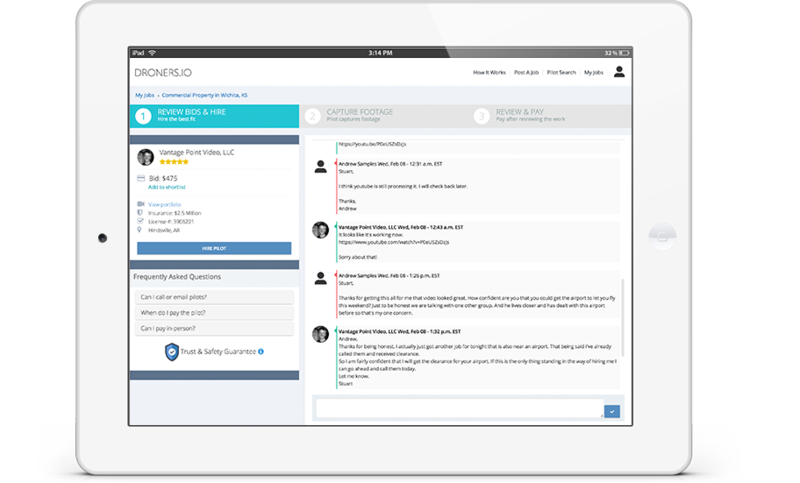 Every pilot on our site has been vetted for required licenses and are able to legally operate a drone commercially. 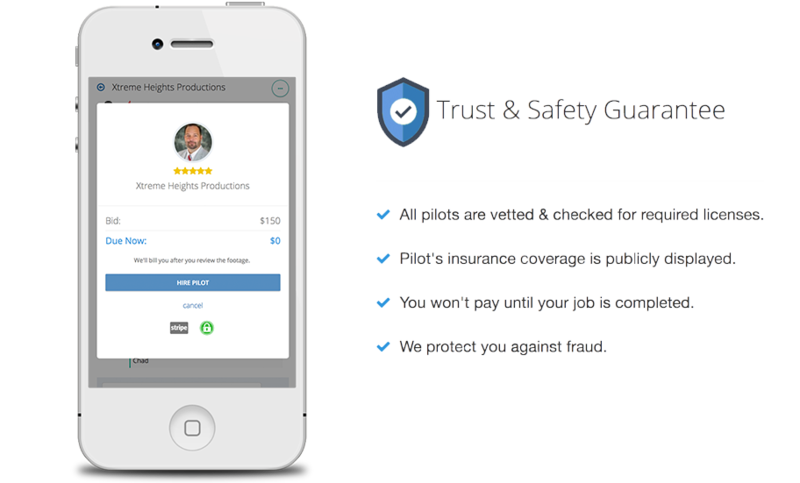 Pay your pilot safe and securely after you receive and review your footage. You'll be billed only for the pilot's time, our service is free to use. There are lots of different things you can use a drone to capture footage for. Some popular services include real estate, construction, cinematography, events & weddings. When you post a job, only pilots that are experienced with your specific type of job will be notified.